RogerBlazic.com: Celebrity Apprentice 2011 | Who Was Fired May 15th on Apprentice? Lil' Jon said the wrong words and was fired. Donald Trump had a big task ahead of himself on Celebrity Apprentice 2011. He had to fire two people before the live finale next Sunday. To get some help, he brought back three former winners and they would help decide who was fired on May 15th on Celebrity Apprentice 2011. Celebrity Apprentice 2011 on May 15th began when Donald Trump brought back three previous winners of Celebrity Apprentice - Brett Michaels, Joan Rivers and Piers Morgan. Each of the former winners were to interview the final four - John Rich, Lil' Jon, Meatloaf, Marlee Matlin. John Rich was the first to be interviewed. Rich argued that he did a great job of fund-raising and was a strong leader on each of his tasks. The trio of former winners reported to Trump that Rich was not strong on tasks, but worked well on strong teams. 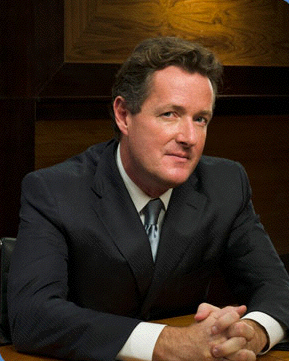 As usual, Piers Morgan was snippy and curt. His questions were the harshest to all of the contestants. Lil' Jon was next and he said that he did not feel that he was the best person to be in the top two because John Rich and Marlee Matlin had raised the most money for their charities. 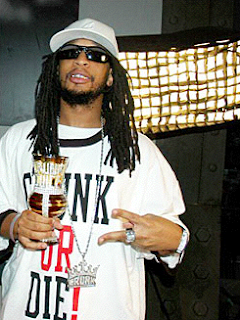 Then, Lil' Jon changed course and argued for his survival on the show. The former winners recognized that Lil' Jon has an amazing entrepreneurial mind and was a strong player. When Meatloaf came in for his interview, the former winners said that John Rich and Lil' Jon seemed to throw him under the bus because of his emotional outbursts, crying, and anger. Morgan commented that Meatloaf had anger management problems. All of the previous winners were concerned with Meatloaf's emotions. Marlee Matlin, who set a Celebrity Apprentice record for raising over $1 Million for her charity, commented that she may be "tapped out," which Piers Morgan jumped on right away. Her "tapped out" comment came up when the post interview reports were given to Trump. After the interviews, the four contestants were brought into the boardroom and interviewed by Trump. Each was asked who should be in the final two. John Rich and Marlee Matlin seemed to be favorites of all of the contestants. Trump, however, had to fire two people. Immediately, he went to Lil' Jon and said, "You didn't pick yourself to be in the top two when you were interviewed. I fired Lennox Lewis from the show for doing the same thing. So, Lil' Jon, you're fired." Lil' Jon was grateful that he could be on the show and present a different, positive image for a rapper and a guy from the 'hood. Trump had to fire one more player. When the cards were counted, Meatloaf's emotions were more a detriment than a strength and Meatloaf was pulled out of the oven - after earning over $200,000 for his charity. John Rich and Marlee Matlin were the final two and needed to complete one last task. The final task was to do a commercial for 7-UP Retro on one of two themes: The Harlem Globetrotters and the 70's or Def Leppard and the 80's. Matlin picked the 70's theme, leaving Rich with the 80's theme. To help with the tasks, some of the formerly fired celebrities were brought back and each Project Manager got to pick their teams. Marlee Matlin picked Meatloaf, Latoya Jackson and Richard Hatch. John Rich selected Lil' Jon, Star Jones and Mark McGrath. Each team decided to bring back iconic people of their respective eras. 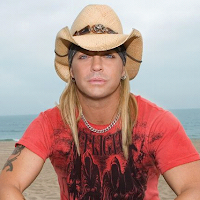 John Rich's team brought in Dee Snider of Twisted Sister fame for their commercial. 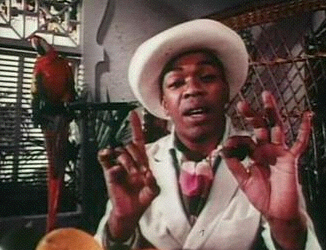 Marlee Matlin's team managed to get Geoffrey Holder who was THE icon for the "Un-cola, 7-UP" back in the 70's. Now that each team had their celebrities in place they had to get to the hard work of shooting the commercial. 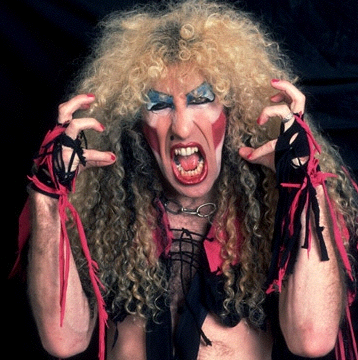 One issue came up with Dee Snider. He had grown a handlebar mustache for a play he's been doing and he had to get permission from the producers to shave it off. After a few phone calls, Snider could shave the mustache and don his iconic Twisted Sister make-up. Matlin's team was a bit put off by Meatloaf taking over the creative. Some of his ideas were way over the top and the team worked hard to bring him down from the stratosphere. Problems arose with both teams as the episode ticked to a close. John Rich was trying to get Def Leppard involved in his presentation for his charity, but ran into issues there. Then, Geoffrey Holder could not appear in Marlee Matlin's commercial due to contractual reasons. And the episode left us with a cliffhanger for next week, the live finale. Celebrity Apprentice 2011 let two players go. Who was fired on May 15th on Celebrity Apprentice 2011? Lil' Jon and Meatloaf, leaving John Rich and Marlee Matlin as the finalists. you forgot to mention the show left with meat loaf going postal, again, it gets old seeing a grown man acting like that. it is very childish, he maybe bi polar? needs to go back an take his medicine. if i was his charity i would mention to him to chill out. of course when you have hit the end of the line in your career as he has i assume you build up some anger towards anyone in the business.